Plato said “Storytellers Rule The World”. This is just as true today as it was then. The old way of selling is to push your message out. An ad in a magazine pushes their message out among the article you are reading much like a commercial on TV. They “interrupt” your enjoyment of the content. Sadly, that is the way most people perceive a salesperson. Someone who interrupts their day vs. someone who can help them. When you are a storytelling keynote speaker vs. a salesperson who pushes your message, you get a yes. The best way to shift this is to become a master storyteller and PULL people in. When you do that you are magnetic! Resolution-what is life like now for hero of the story after they went through this? While helping my client Martijn Atell get his confidence up with pitching and presentations, I asked him to tell me a story of a time when he knew he really nailed something. He told me that while he was born in South America, he was raised in the Netherlands. When he turned 18, his parents took him back to South America and dropped him off, naked, in the Amazon Jungle for 2 weeks to survive. Why would they do this? Because it is a rite of passage for their culture. We then worked on his delivery of that story. When he was ready, Martijn told potential investors and groups this story of his experience. In the end, he won a pitch contest that ultimately funded his start-up. The investors said that if he can survive naked in the Amazon Jungle, he can handle any problems that come up in business. Now, that’s a powerful story and one that I share as a storytelling keynote speaker. 1.The exposition is the who, what, where when–You have to paint a picture, so people know the scene. Sometimes, when I had Martijn practice his pitch, he would forget to say it was a rite of passage in his culture. I would remind him that if he doesn’t tell people that fact it sounds like child abuse! So not too much, but also not too little exposition. The problem–He is naked in the Amazon jungle. The solution–He survives and has life lessons to apply to his business. The resolution–He won a pitch contest! When you want to be a better salesperson, tell a better story! When you become a storytelling keynote speaker you are no longer just a salesperson. The more your prospective buyer sees themselves in the story with you as the mentor helping them, the faster they see you as the perfect fit. 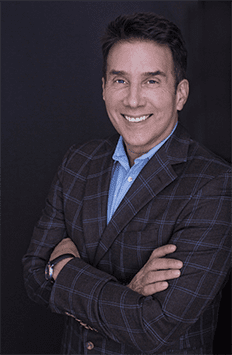 If your sales team needs to learn how to tell better stories so they don’t have to compete on price alone, John Livesay is the sales keynote speaker for your sales team. John Livesay is a top rated storytelling keynote speaker that gives audiences new tools to become magnetic. Whoever tells the best story gets the sale.